Shanghai will be the third Asian city to have a Disney World, but can it turn a profit? 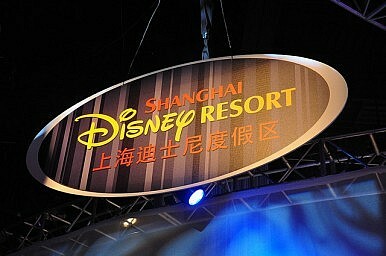 This week, the China Daily reported that Shanghai will be home to mainland China’s first Disney resort. The resort will be open in 2015, and will be one of Disney’s most technologically advanced parks, according to chairman of Walt Disney Parks and Resorts, Tom Staggs. It appears that Disney’s strategy in mainland China will be shaped partly on a trial-and-error basis. Staggs mentioned that the resort’s offerings will be based on customer tendencies, and Disney will monitor how tourists use the resort and the park’s technology, then update the park accordingly to reflect that. Disney’s aim is to implement technology that is fun, convenient and can help personalize a Disney experience for each guest, according to Staggs’ interview. Back in June, Bob Iger, chairman and CEO of The Walt Disney Company, indicated the importance of having a unique Chinese Disney experience for the park. At Chengdu’s Fortune Global Forum conference, Iger said Shanghai’s resort “can't be the Disneyland that Walt built in 1955 for all kinds of reasons…. It has to look, feel, [and] resemble China's Disneyland. And that has taken a lot of thought, a lot of work." The park, which has been under construction since April 2011, represents a major joint investment between China and a foreign company, and is said to have surpassed the Shanghai 2010 Expo with its investment of around 24.5 billion yuan ($4 billion) for the first phase alone. Shanghai’s Disney Resort also represents Disney’s sixth resort worldwide and is the third located in the Asian region (the other two are in Hong Kong and Japan). Obviously, building such a park is expected to boost Shanghai (and China’s) tourism industry, and should also be a huge job creator. For example, Hong Kong’s Disney Resort, which is much smaller than the one planned in Shanghai, created 13,000 jobs alone. However some are worried that the Shanghai resort will overshadow Hong Kong’s own Disneyland Resort, which has been trying to recoup its investment costs and only turned a profit last year, eight years after it opened. If the Shanghai park simply steals revenue from Hong Kong’s resort, rather than bringing a new influx of tourists, then both parks will be unlikely to turn profits. Other concerns involve issues of brand recognition with Disney franchises in China. The China Daily report cited above noted that there is a “lack of familiarity” with Disney characters in China. Most people are able to recognize only Mickey Mouse and Donald Duck. Chinese consumers have not grown up with the Disney movies, products, shows or music that Westerners have, and that could affect ticket sales. However, with some good PR and marketing, this should be able to be overcome. China's "land of fish and rice," today a high-tech hub, has long been the country's wealthiest region. Can China Save the Shanghai Free Trade Zone?Beijing’s Booming Population Risks InstabilityXi Jinping's Next Tiger HuntXinhua: China Approves 12 More Free Trade ZonesGuangdong: China’s Next Free Trade Zone?